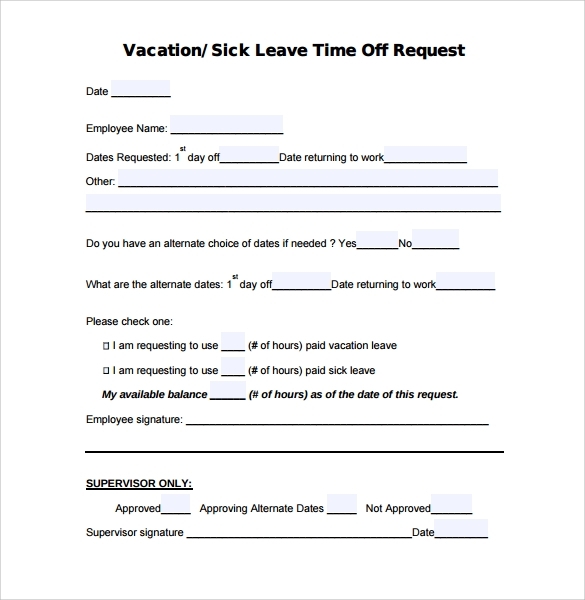 If you are employed in a company where you work for seven days a week, there might come a time when you need some time off. 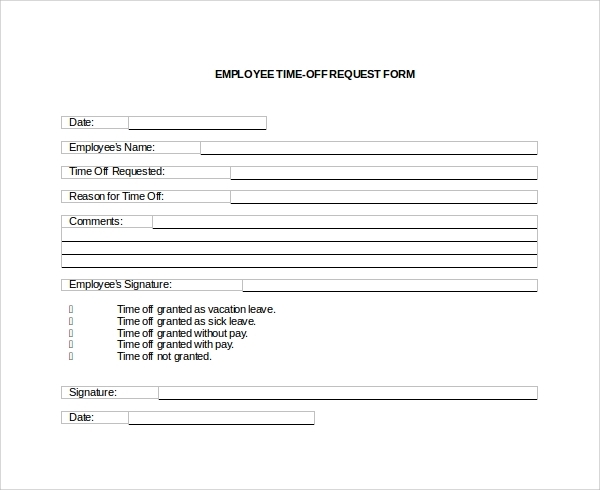 As an employer, you have the right to ask for an off Medical Request Record Form from work, or even take a leave, when necessary. 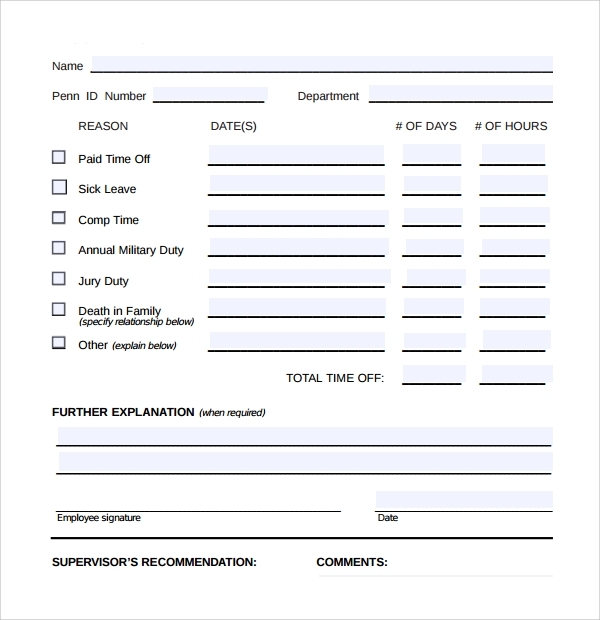 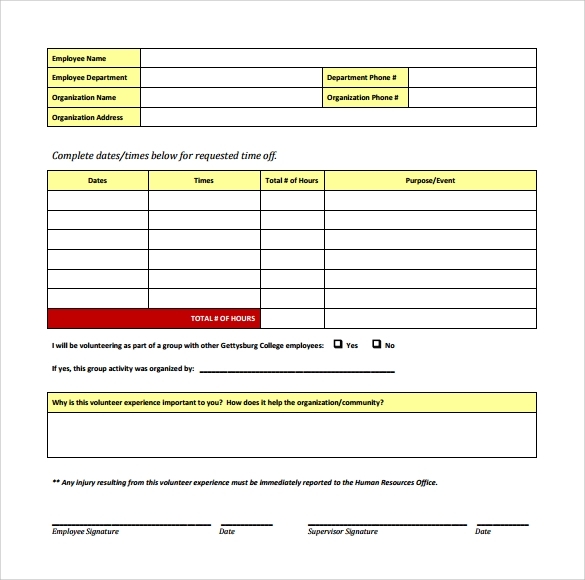 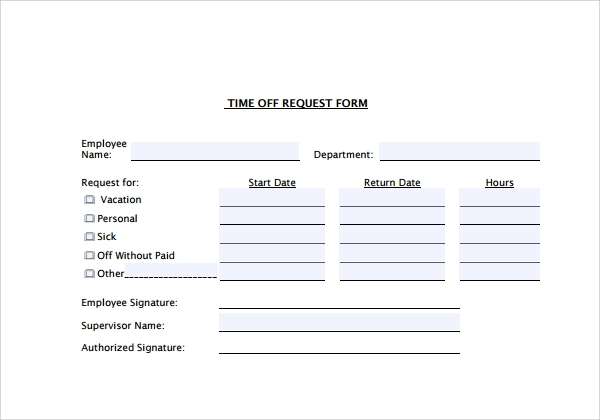 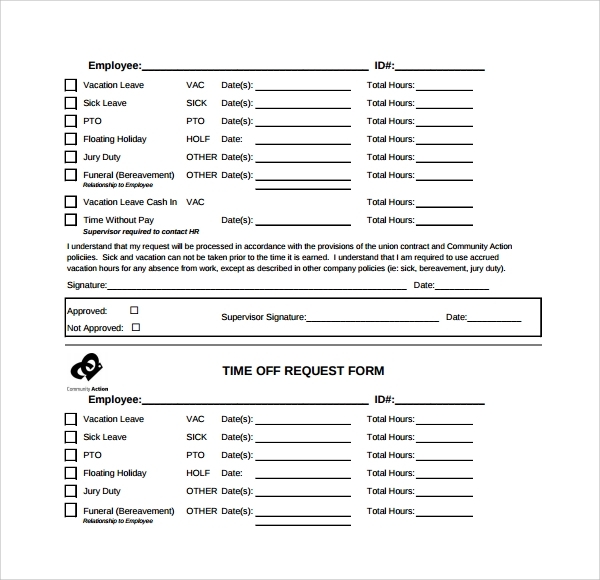 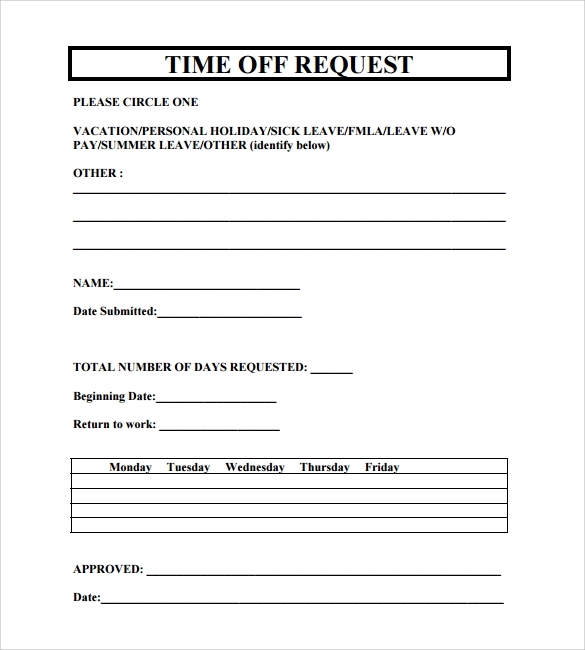 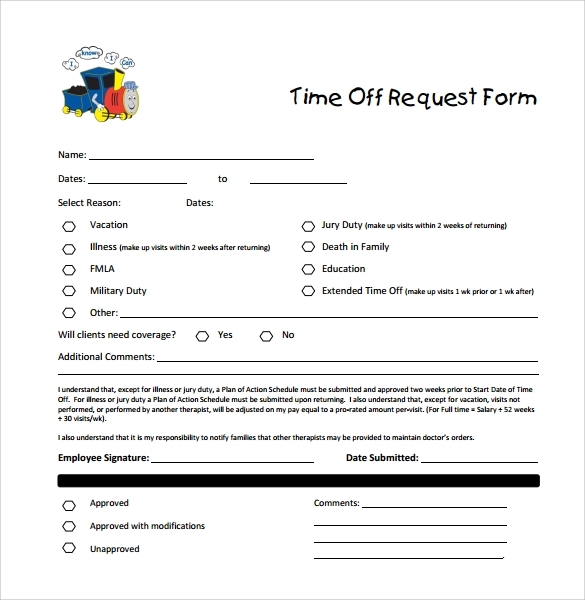 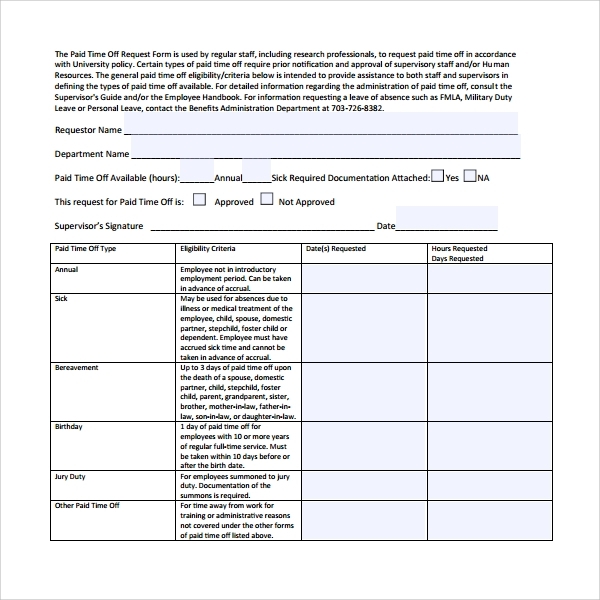 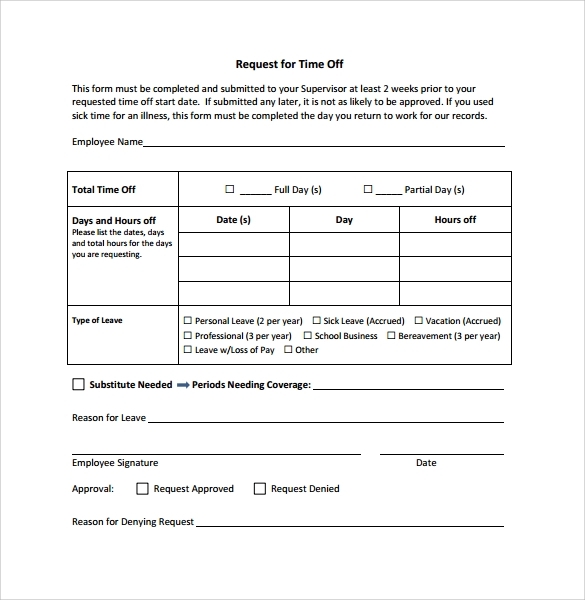 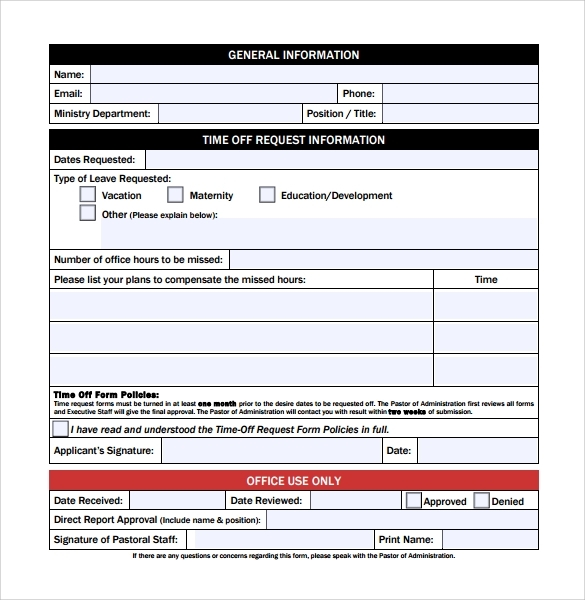 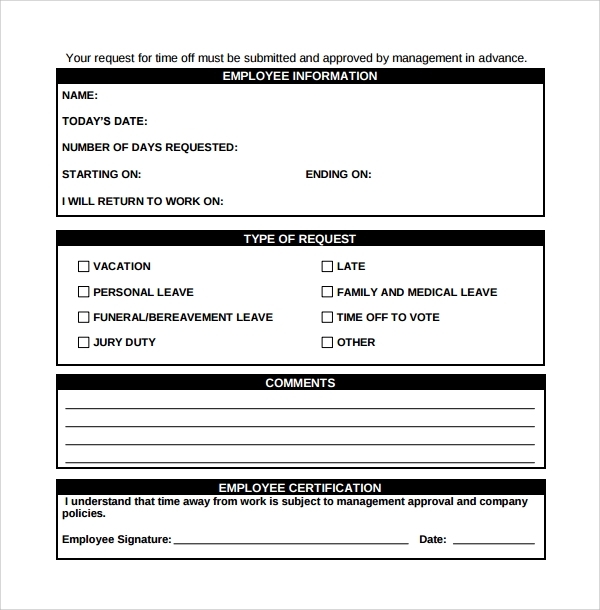 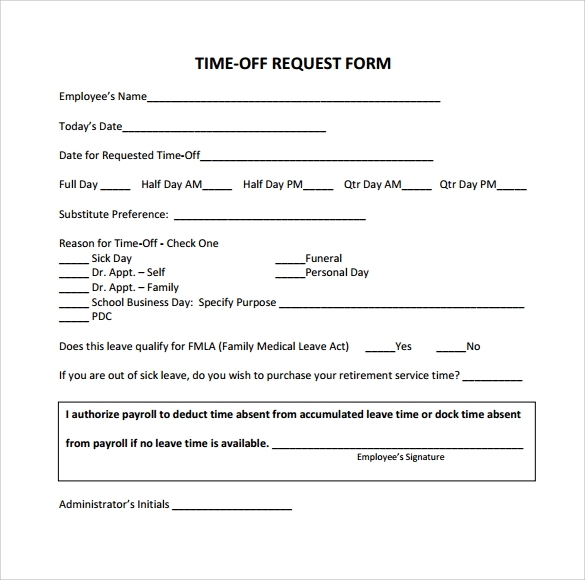 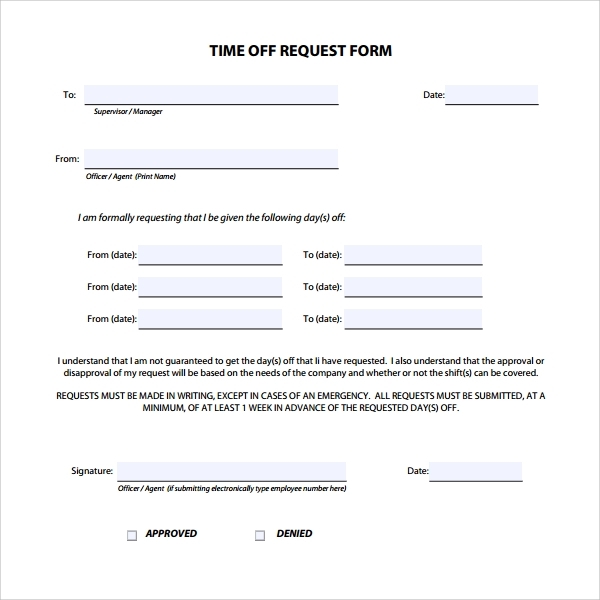 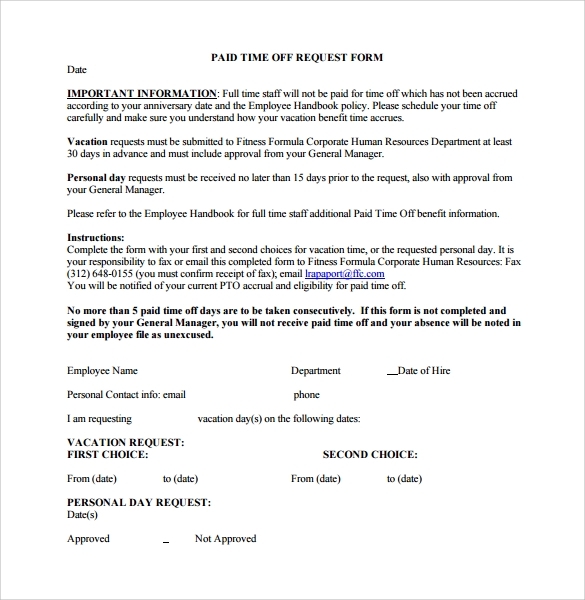 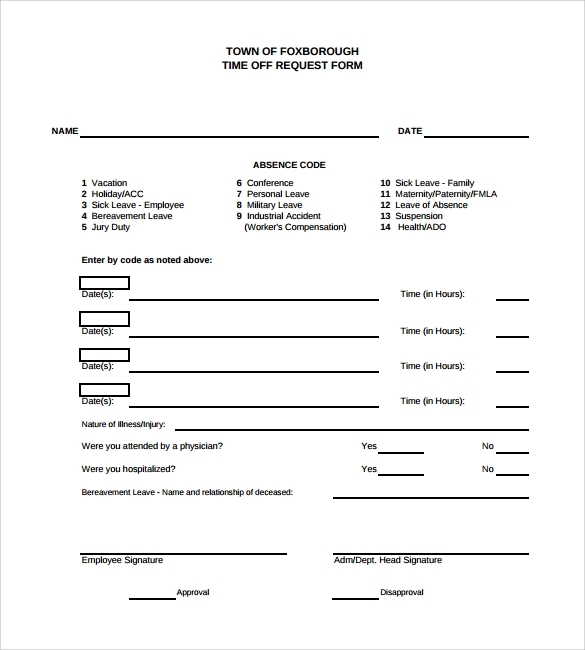 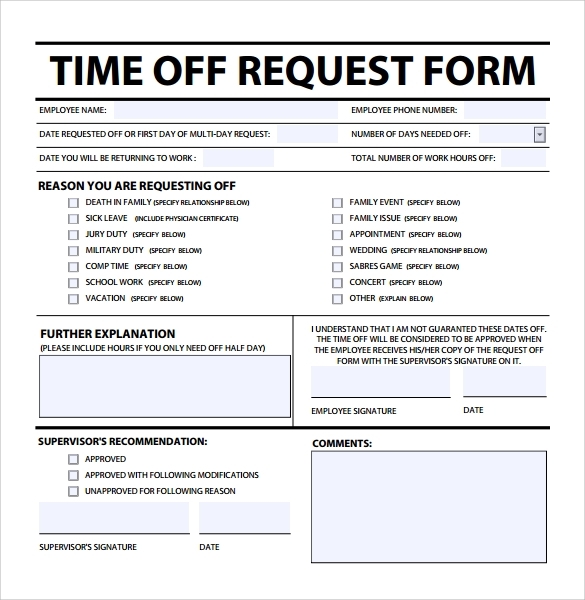 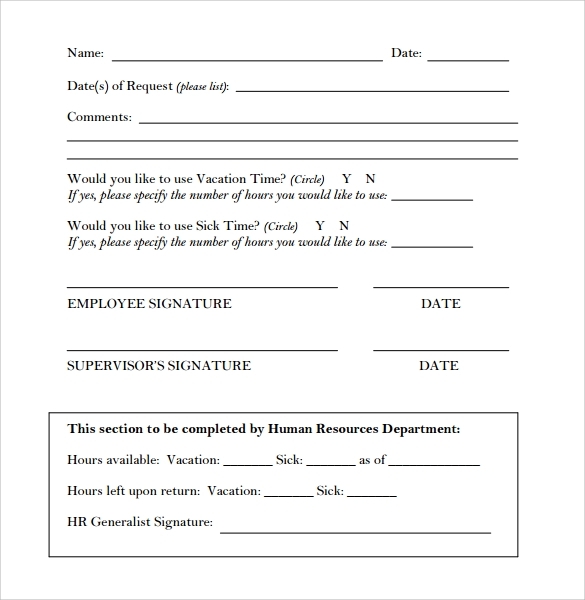 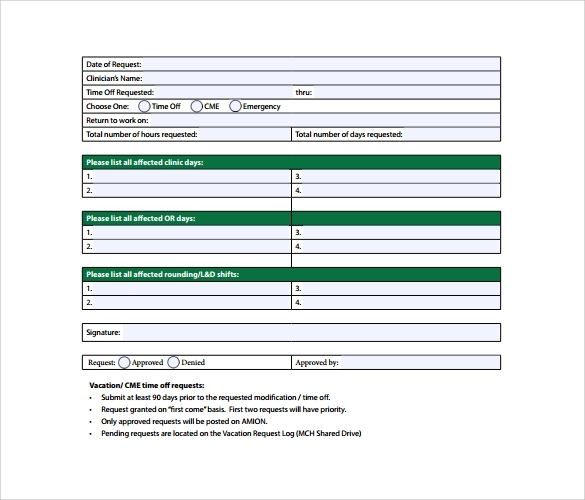 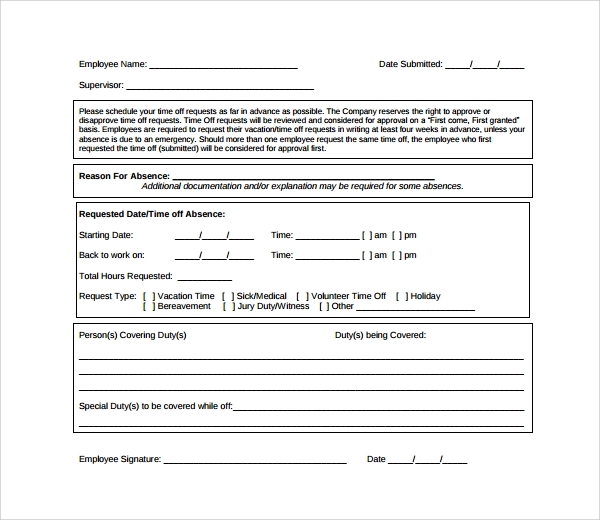 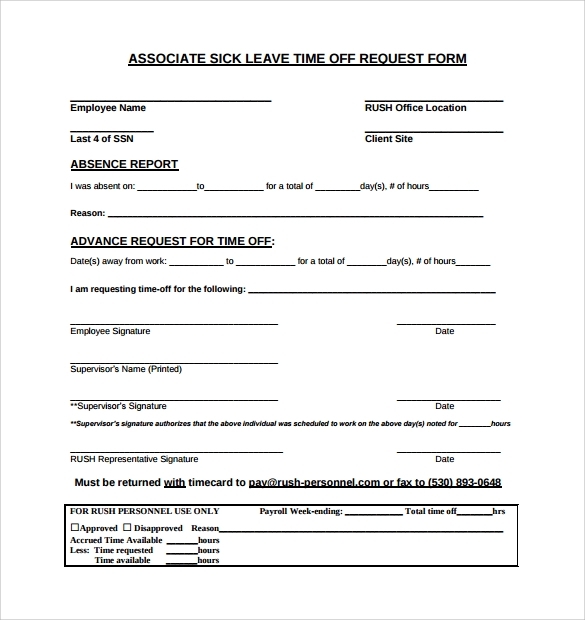 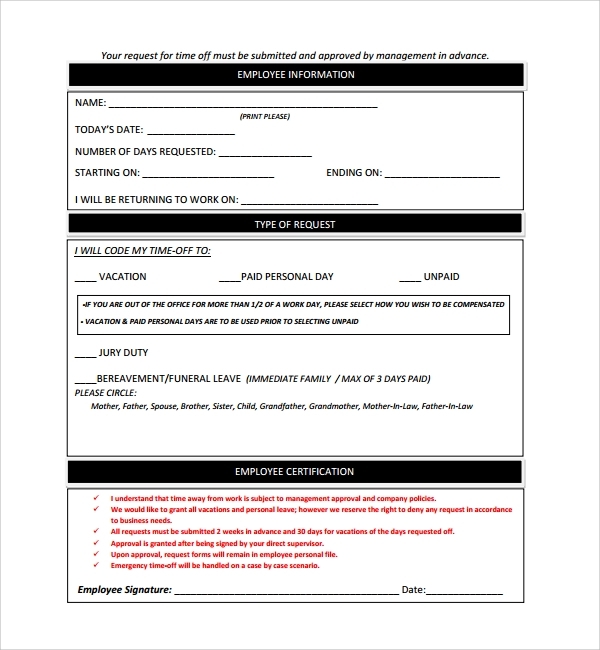 A Time Off request Form can help you get an off from your boss without further questioning. 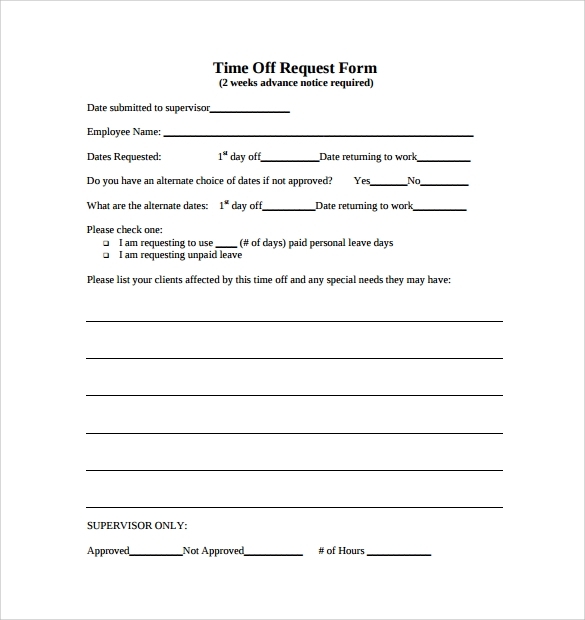 Because you are likely to have a difficult time creating a template from scratch, or simply does not have time at all, the best thing to do would be to download a free template from the internet and use it as a guide to write your own time off request.